The best part, this beaut made its way into our home for UNDER $200! I bought a China Cabinet for ONLY $20 off of Facebook Marketplace (I pretty much stalk Facebook Marketplace for some amazing finds – I also have a coffee table and another cabinet from there that I got for FREE!) Then I invested some extra money in paint, primer, a paintbrush, tack cloth, and then some new knobs bringing my overall total to about $150-$160! 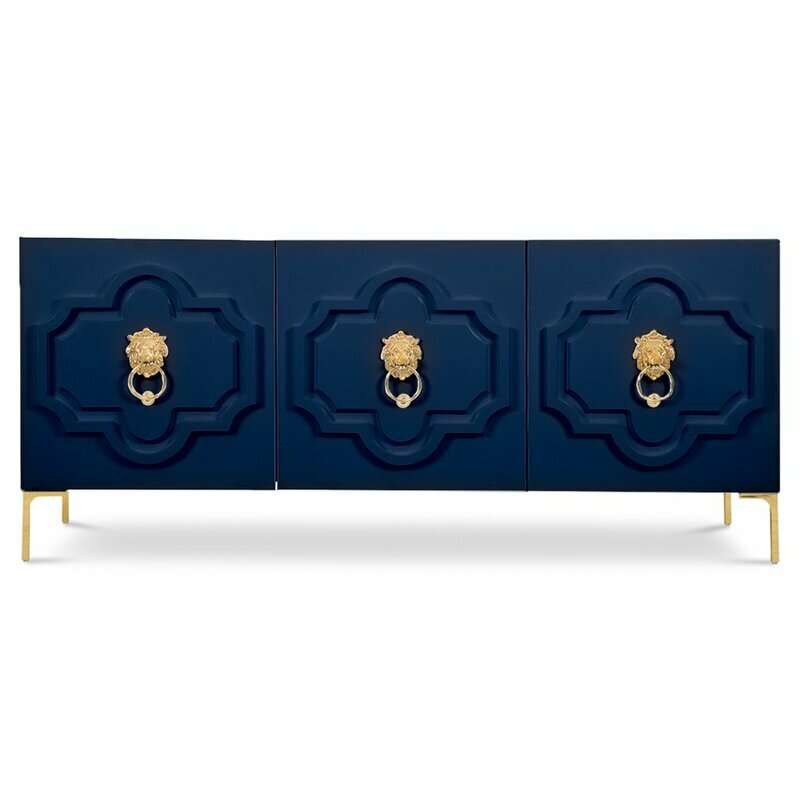 My dream sideboard (pictured below) is about $2600.. so this was the ultimate bougie on a budget project for me 😂 I loved the idea of the blue – it’s unique, bold, beautiful, and totally fits in with the color palette I have going on in our living/dining space. I die for these oversized lion head knockers on the Wayfair Credenza, but since I was unable to switch out the knockers of the China Cabinet, I opted for some still bomb lion head knobs. I also initially planned on doing gold hardware as well, but after considering all of the other gold accents we already have going on in the space, I decided to go with a hammered copper option instead and love the way it turned out.